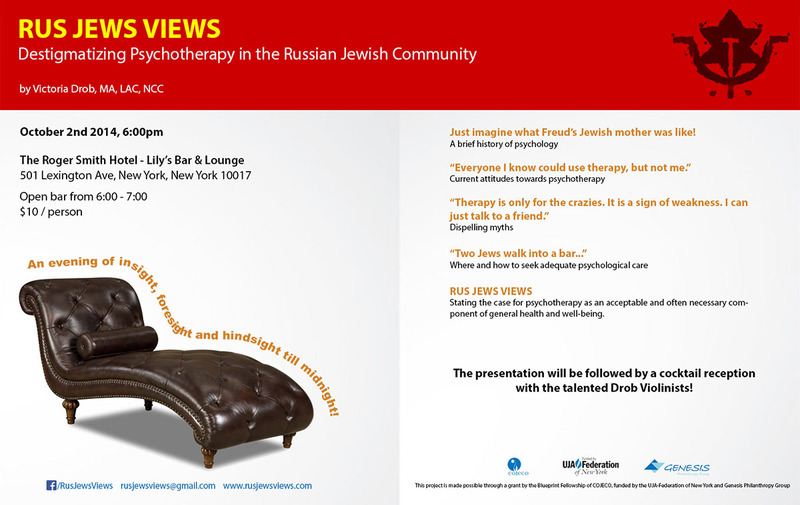 Rus Jews Views aims to destigmatize psychotherapy in the Russian-speaking Jewish community and states the case for psychotherapy as an acceptable and often necessary component of general health and well-being. A manuscript of Victoria’s research is currently being finalized and submitted for publication in a top-tier psychology journal. At least two more publications are pending. 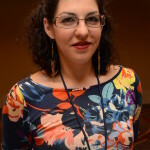 Victoria Drob Rus Jews Views Victoria Drob is a National Board Certified Counselor, holding a master's degree and a license in clinical counseling. Providing psychotherapeutic counseling during her internships as part of her graduate studies has been a life-altering experience for her. For her COJECO Blueprint community project, Victoria conducted research that brought to light the stigmas surrounding the field of psychology in the ex-Soviet culture, in the hopes of dispelling the prevalent myths and misconceptions. Victoria hosted an educational lecture on the benefits of counseling for the Russian-speaking Jewish audience offering insights gained from her research results. Victoria continues advocacy work and research in this field. Her project, Rus Jews Views, can be followed on www.RusJewsViews.com as well as on Facebook.